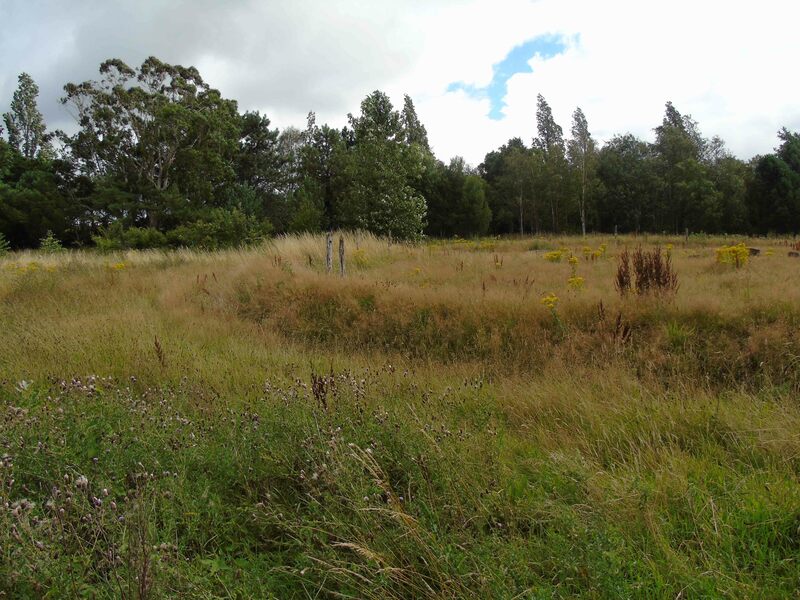 This post discusses a modern-day scale replica of one phase of Stonehenge, created as an archaeology project at Ness Botanic Gardens. Ness Botanic Gardens isn’t far from Chester, between Burton and Neston in Wirral. It was created from 1898 and given to the University of Liverpool in 1942. 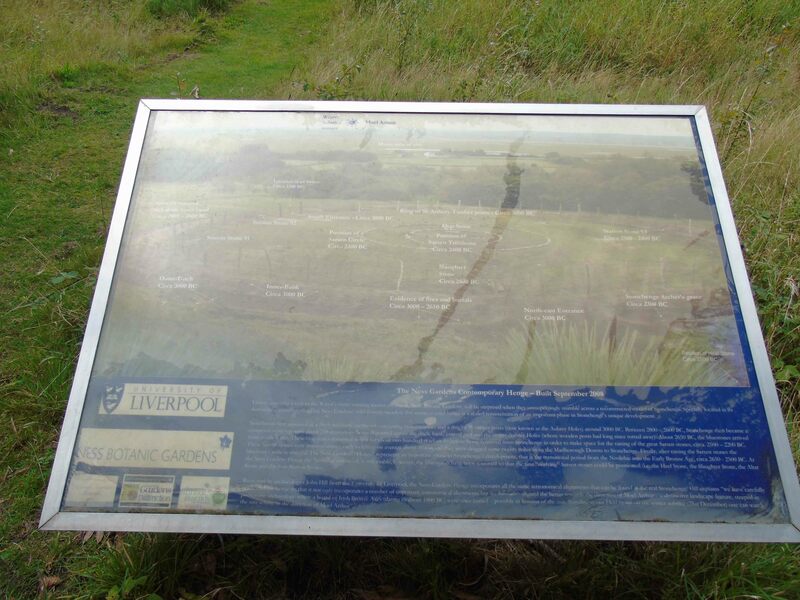 It is sometimes misleadingly called ‘Liverpool botanic gardens’ because of the connection with the University of that city (perhaps an example of regional colonialism). Anyhow, I expected it to be simply a botanic garden and without an Archaeodeath dimension. I was proven wrong and there were multiple dimensions to interest me. The major hurdle of most of my visits to heritage sites and country houses getting through the gift-shop/reception with my kids. Ness was reasonably painless although I had to endure a tone of surprise that I have 5 offspring. Once that was done, I then grappled with disappointment at realising that neither Eliot nor the Monster are connected with this Ness. These issues aside, we went forth to spend an enjoyable day in the gardens. We took a clockwise route, exploring all of the key and contrasting spaces of the gardens including plants from China, the Himalayas, Tibet and Burma. There are terraces, rock gardens, woods, water gardens, The Spinney, wildflower meadows, a lawn, azalea walk, herbaceous lawn, specimen lawn and pine wood. However, it was to my surprise (because I confess I hadn’t heard of it before) that we encountered, in the wildflower meadow, a feature recorded on the map of the gardens given to us at reception as ‘Wood Henge’. It is referred to as ‘Woodhenge’ on the website. 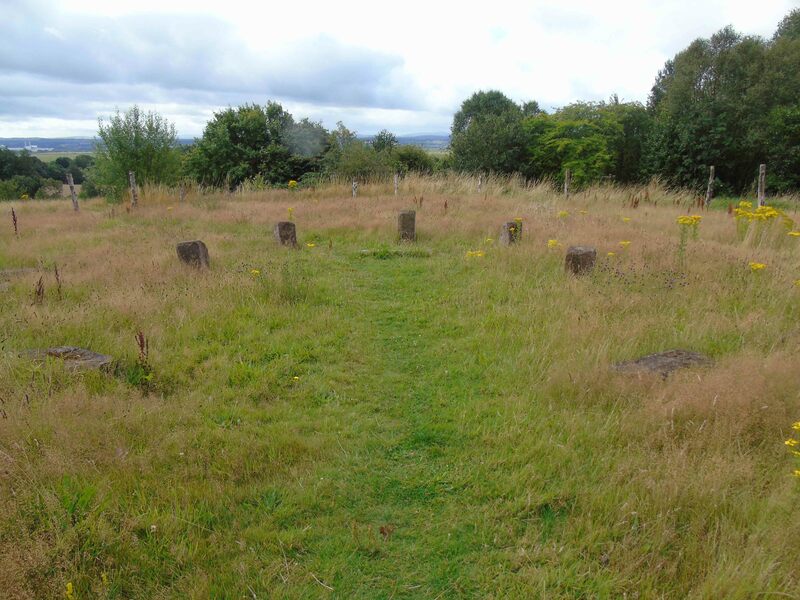 Now as everyone knows, ‘Woodhenge’ is a feature of the Stonehenge ceremonial complex, but this Wirral henge has a different intent and it isn’t anything specifically to do with ‘wood’ since it has earth, wood and stone components. Rather than a real-size replica of the timber circular monument adjacent to Durrington Walles, this was the creation of experimental archaeologist Dr John Hill of the University of Liverpool to mimic a phase of Stonehenge. 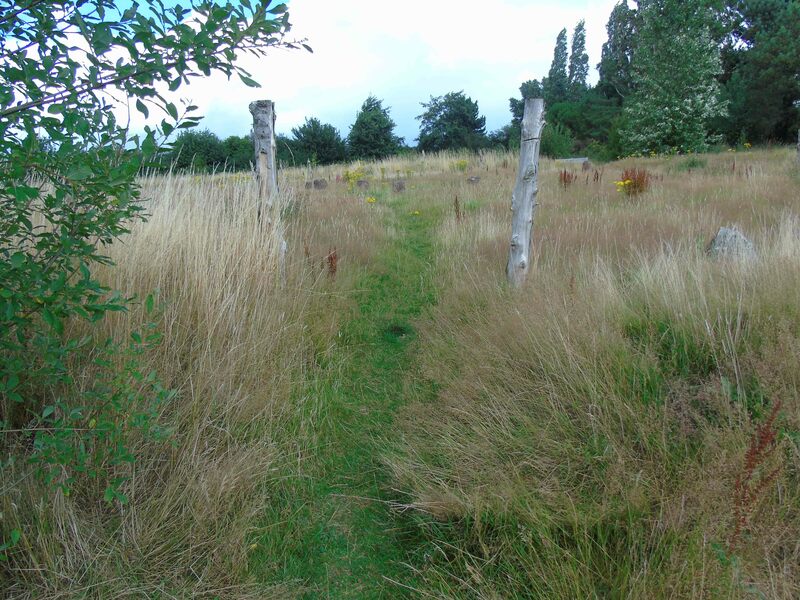 Hill’s project is briefly reported on in a single published online source: Nesshenge: the Liverpool botanic gardens experimental henge. What is on offer is a just-over-one-third scale replica of the Stonehenge monument. The aim is to record a specific phase in the life-history of the monument for educational purposes and coinciding with Liverpool being 2008 ‘European Capital of Culture’. This was an experiment in design and prehistoric measurments rather than construction techniques: modern mechanic excavators were deployed to help in the building process. What of the design? This is created to represent a specific moment in the monument’s evolution, sometime in the mid-3rd millennium BC: Phase 3I (please correct me if I’ve got the phasing wrong). What does this mean? There is the Neolithic henge bank and ditch. Then the Aubrey Holes are set out and filled with timber posts within the ditch. The bluestones are in place in two arcs within the structure and some of the Sarsen stones have been positioned: the Heel Stone, Slaughter Stone, Altar Stone and the four Station Stones. This is supposed to represent the transition of Stonehenge towards a monument in stone and just before the major trilithons are erected which for many are the most iconic feature of Stonehenge. Therefore, to the superficial glance, the monument looks strikingly ‘un-Stonehenge-like’ and this is important: the monument defies public expectations in this regard and it looks less ‘familiar’ and less exclusively ‘Stonehenge’ than it might have been if a later phase had been selected for scaled replication. What of the features that make this depart from simply a ‘replica’? Well, the reduced scale was a practical issue, but also gives it a completely confusing/unfamiliar and distinctive sense of space and architecture. 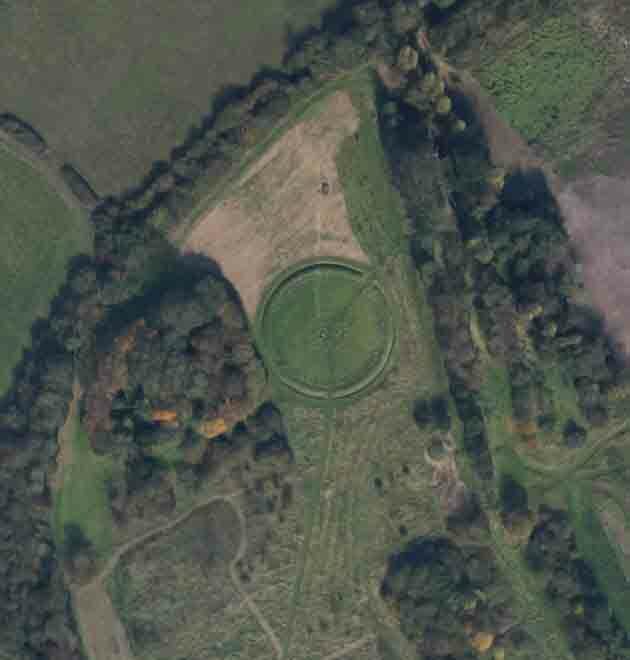 Also, the topography is counter to Stonehenge: it doesn’t sit on a west-facing slope, but on a north-east facing one. There are no other Neolithic/Early Bronze Age monuments: causewayed enclosures, cursuses, other henges etc. 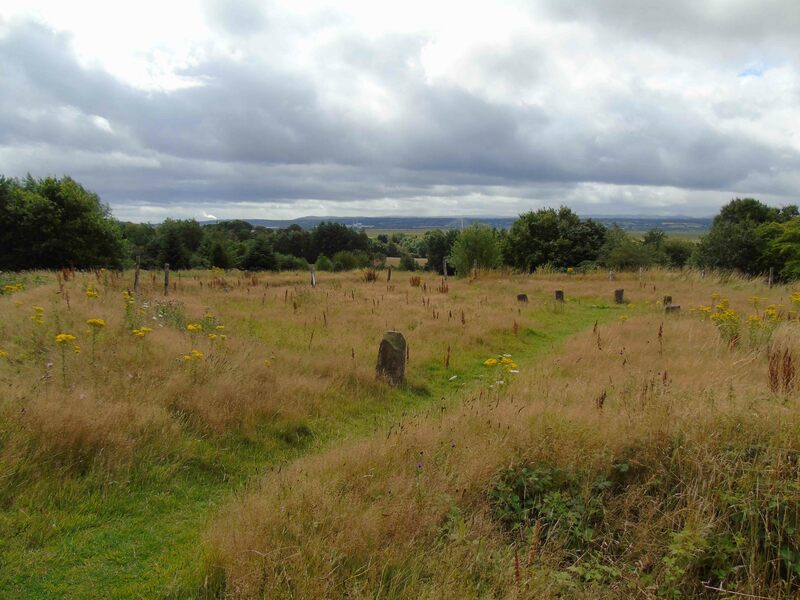 There is no ‘landscape’ of burial mounds of the Early Bronze Age, like that at Stonehenge itself. The most significant absence is a ceremonial procession route (The Avenue) leading to it from the north-east. Moreover, the replica adapts the astronomical alignments to the local topography, so that midwinter sunset falls between prominent hills in the Clwydian Range: Moel Famau and Moel Arthur: the precise meaning for this isn’t made clear, nor the prehistoric significance of these hills explored. The materiality of the henge also isn’t discussed: the stones I presume are local and not comprised of either Sarsen or bluestones. The timber posts are undecorated and bare, like those I have encountered at another prehistoric henge reconstruction at Millfield. Now these points are not criticisms: but it is important to identify how this monument differs from Stonehenge. And while it as an astronomical context, it of course lacks the spatial/temporal dynamics that make Stonehenge what it is: a life-history and a landscape of evolving monuments. The principal point of discussion of the henge in Hill’s publication was the almost immediate flooding of the henge ditches, and whether this was an intentional part of the henge’s design. 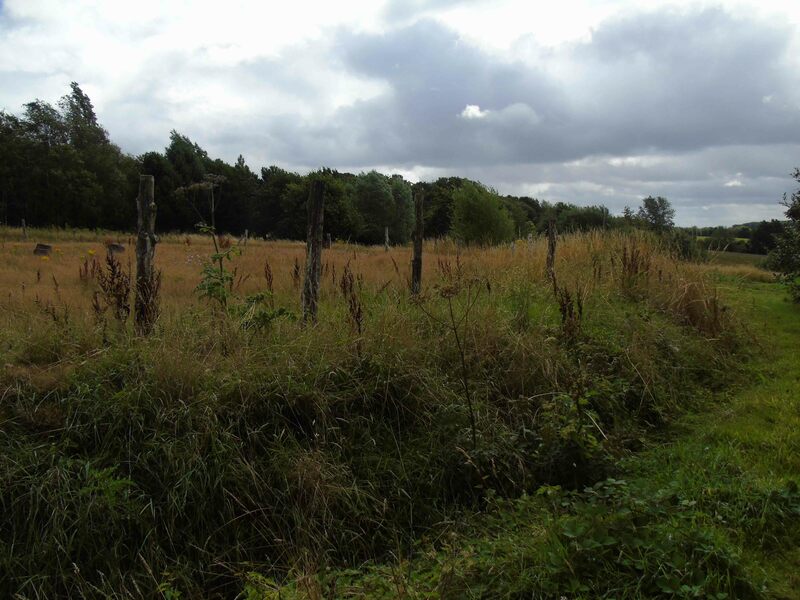 The article references a range of possible prosaic significances this might have held, including watering cattle, but also cites Colin Richards’ 1996 paper where he suggests a cosmological significance to the water associated with henge ditches. The publication also notes that, for Health and Safety reasons, the Nesshenge ditches are managed by extra drains to prevent deep water accumulating there. 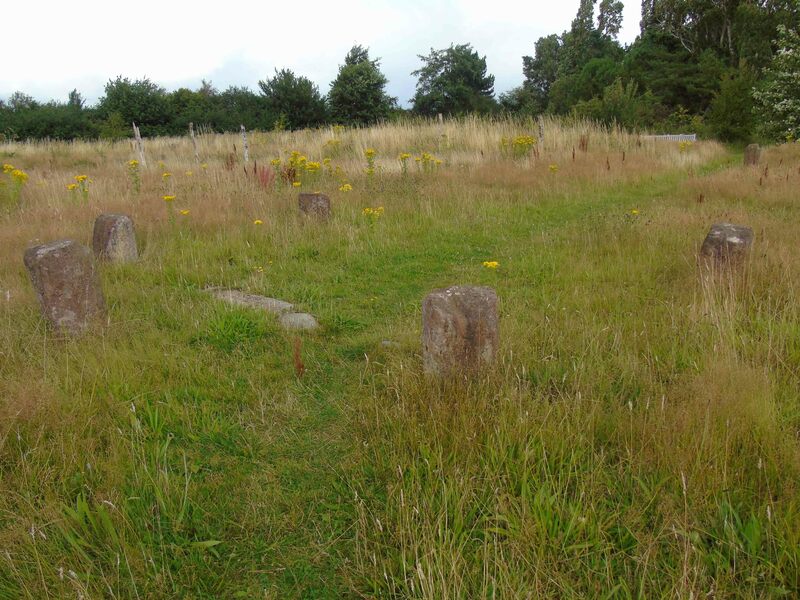 The henge is still used for educational days by Dr Hill, so it is a ‘living monument’ not only as a feature of the Gardens, but in exploring the archaeology of Stonehenge and its environs. There is a heritage board giving a sense of the history of Stonehenge and the rationale of the replica, but not making clear precisely why this stage in the evolution of the monument was selected. Then there is the issue of this monument’s biography. 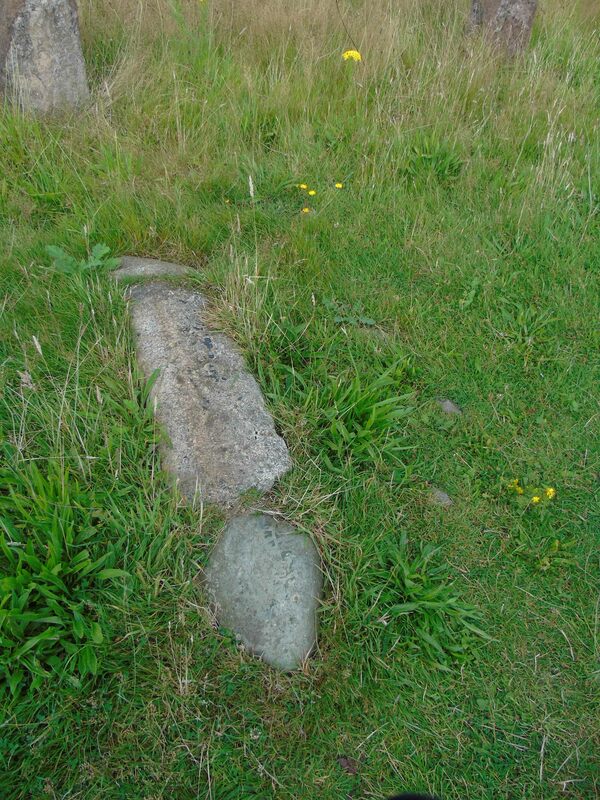 After almost a decade, as debated on this blog for the Millford/Maelmin henge, the question is: how will the biography of this monument be charted? Will it attract further archaeological experiments and activities? For example, might it be re-worked at some stage, perhaps with the erection of trilithons? If so, the experiment might be to consider how it is possible to reconstruct and re-arrange a pre-existing monument, not create one from scratch. Will a ‘landscape’ of other ancient monuments emerge? Will it become ‘for the ancestors’ through the deposition of cremated human remains (i.e. a modern garden of remembrance)? Or will it simply be forgotten, submerged into the botanic gardens as just another design feature for plantings? So, what will become of Nesshenge? Whatever one thinks of it, it is far more than a replica, but something completely different and might prompt a biography and landscape of new replica prehistories to emerge.